Trekkies have worshipped Star Trek for years, and, since the subsequent reboots, a whole new army of fans has grown. 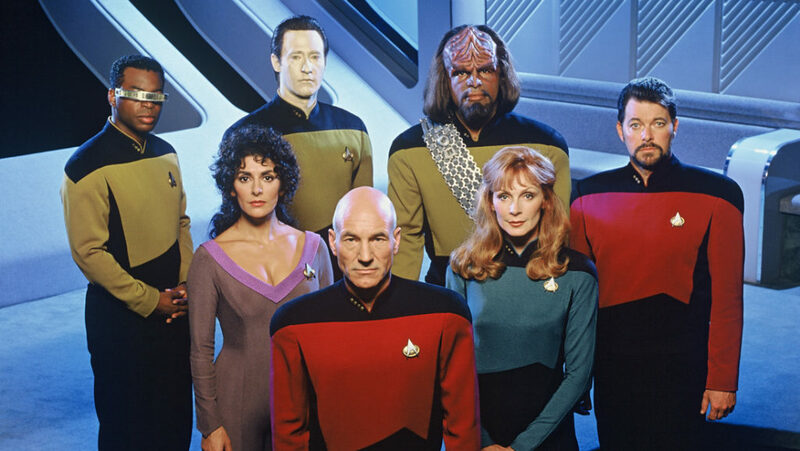 As one of the most successful and popular TV shows of all time, Star Trek has made a huge impact on popular culture. It has made stars out of the actors, and the storylines will live long in the memory. But, there is another way in which Star Trek has had an impact – technology. For the longest time, the show was a pioneer of futuristic and incredibly cool technology. But, this was all make believe stuff for the purposes of TV entertainment, right? Not necessarily. The show may actually have had a deeper impact on science and technology than we imagined at the time! So, follow us to the final frontier, and let’s find out all the great ways in which Star Trek has helped change the future. No longer was science something for middle-aged fuddy-duddies in lab coats. Suddenly, science was cool, and it was cool in a mainstream way. That spirit of discovery and invention was prevalent throughout the show and went a long way toward inspiring and informing many of the scientist and discoveries we have today. It’s fair to say that many of these scientists and scientific advancements have changed the way we live our lives, and they were inspired and informed by Star Trek. Theoretical physics played a big role in the show, though mostly in a fantasy context. However, creator Gene Roddenberry was known to be a perfectionist, and he actually hired a physicist and a research team during the show’s run, to make sure the science in the show was accurate. In fact, some of the theoretical ideas in the show sparked interest, and have been proven possible. For instance, in 1994 Mexican physicist Miguel Alcubierre actually found that ‘warp drive’ (where a spacecraft can travel faster than light speed) could be a theoretical possibility! Another area the show excelled in was predicting future technological medical advancements that might occur. The 1960s show had bio-beds, not unlike medical machines that would become the early versions of MRI and ultrasound machines. Furthermore, the show put forward the use of technology that could heal wounds magically. Strange as it seems, we’re not actually too far off something similar to that. Apparently, NASA is currently working on technology that can regenerate bone and muscle tissue! So, we could have future technology that actually heals wounds and rebuilds bone and muscle! Wow! Can you imagine life before cell phones? No, us neither! And, you might not know, that the idea for them was influenced by Star Trek. Back in the ‘70s, the idea for a portable cell phone came following the small, handheld communication device on Star Trek. It basically resembled a small, cordless, mobile device, and a prototype was ready within a couple of years. Of course, cell phones back then were huge, and nothing like the device on Star Trek. But, as well all know, we got there eventually, and flip phones were a big thing in the ‘00s. These are just a few things that Star Trek can be credited as inspiring in the future. There are so many other great ways in which the show had an impact on modern society. But these are just a few of the ones we feel are the most awesome. Don’t believe us? Go back and rewatch Star Trek, and note how many things they predicted and pioneered on that show that have actually come to pass.